Hello everybody keep those questions coming to rob@thepromiserevealed.com also We are looking for a person who wants to Join the PFC technology Leadership on PFC. If you are interested in this position please contact me at same e-mail address above! Did the goddess activation in Ibiza work out? I've never seen so many ships up in the night sky, or felt so much the light all around me. The change can already be felt in the air. Beautiful things are to come. Thank you for the update on the summer solstice and the return of The Goddess Isis. And thank you for not promoting your June update a week before June actually eends. I will refrain from using Vegan language here and just go with Sirian instead. My dear Cobra: This last interview has been really a gift as you have shed light on so many issues. Thanks deeply! Cobra you have said before that god is not all powerful and can't do everything. So obviously if god could change things here, they would right? Doesn't that mean that the dark forces have more power than god? So we might not actually win this thing...? Even the Archons/ Chimera group wouldn't want the strangelet bombs to go off. If the hostages are gone, then there is nothing to stop Source from vaporizing the Archons immediately. So, it will be a ENDLESS STORY then, hahaha! It could not be described better than your last words of the interview, Rob Potter, " What a wonderfull interview this has been ". Very informativ, clarifying and uplifting! Great work. Time to rub on some " patience oil ", be happy and do our best to support the light and love. 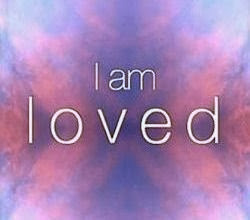 I AM LOVE! Thank you Cobra , Rob Potter and RM, it is truly a remarkable time to be alive. Blessings to you all. If you could briefly update us on what transpired during the solstice in Ibiza we would greatly appreciate it. result of that poll gave a certain green light for certain actions of the light forces, especially the removal of the chimera group. You had earlier stated that the GFL, etc. do not bother about free will of the surface population especially if their rights are being inhumanly violated. It is also stated thus in the Galactic Codex. ( And ultimately no one interfered due to the strangelet bombs. ) So why is a poll necessary to give the go ahead to remove the Chimera group ? @Time Missionary, the way you describe this is absolutely not true. The Galactic Codex gives ALL member species and star systems the right to do certain actions in certain areas. But it is very general and far encompassing. Those galactic forces must still ask permission from the member species of any particular planet. They asked and we gave permission...and we didn't just give permission, we BEGGED for help!! So they did what they had to do, and probably even more than that. Thank God this will soon be over!! @Mitchell, the poll has only revealed that we are finally aware and ready to receive help. But, according to Cobra's statement above, the green light to remove the Cabal was already given thousands of years ago when the suffering started. BUT they also said that anything that is related to karma, they cannot intervence. So, not everything is under their control, the light force respect the law of non-intervence but the dark don't - this is the unfair line. If interventions are allowed everywhere and everyway, it will be chaos but since the dark don't respect this law, why should the light force insisted? Well, if they don't, there are karma consequential for them too - I don't think they want to get into this. But the galactic forces are working here even before taking polls. And very few participated in that. Real reason behind the polls is still unclear. For me the poll had the impact that I could see how many people wish contact with extraterrestrials. Interference: We are the proof that there is help, because we came here for this. We also belong to the interference-team. And we are the ones the archons are afraid of and thats why we have so many difficulties in life, we are in their crosshair. We are stronger, otherwise we would not have reached this point :D.
As Cobra stated, the polls were to ascertain the percentage of the surface population who where in favor of the event happening, and happening sooner than later. I can easily see how this information would be helpful to the RM. And if it helped to expedite some things then the polls were successful. It is easy to lose patience with this process, but impatience is a weak draining state of being. Another great interview with Cobra. I see it was posted @ 1:11 !!! (in my time zone). I've often wondered why we Starseeds are more often born into dis functional families than not. That certainly was the case with me. I've always thought that we choose our parents, & thought I chose mine to balance karma. Cobra tells us however that it is the Archons that choose our parents...It all finally makes sense. God Bless you Cobra. What a blessing you are to us, & to the planet. I Am sooo grateful for all that you do, & all that you are...Much Love. Problems with my parents since i was born and still going on with problems!! It really confuses me. I sometimes had the thought to leave but i always have choosen to stay with my parents. I thought this is part of my job, but it seems like its just a big blockage! We do choose our parents, but the cabal probably have a list of "incoming lightworkers" and try their best to hijack the incarnation process, putting us with bad families. The cabal did a good job with me, they forced me to be born in a place and situation where I cannot be active, sadly the best I can do is to be a "keyboard lightworker". It's hard to explain. The best way to say it is that I feel a strong urge to fight the cabal and dismantle it by -any- means necessary since I was 12, and I'm pretty much immune to their manipulation, I've never bought into anything (religion, falseflag events, everyday distractions, politics). If a resistance movement operative came to me and said "you're coming with us!" that would be the best day of my life. My family is terrible, but my mother is the worst. She seems fine, and never caused me physical harm, but she has the worst energy pattern you can think of. Just by being near that person is enough to ruin the best mood you can have, even if shes just sitting there. When I left my parents house it was the best thing ever, I only realized how drained I was being until that point. I remember being scared of her as a child, and always trying to be closer to my dad, even not having any knowledge of why was I feeling that way. I have no idea why she's like that, sometimes I wonder if the cabal "prepares" people to be ready to be parents of lightworkers, by putting so many etheric parasites on them to the point that they're not themselves anymore. I am really not sure if I am a "Starseed", but what Cobra said about parents really resonated with me. I am so THE OPPOSITE of my parents that it is ridiculous. Not to mention abuse, neglect, and abandonment, even the day-to-day living was a constant conflict. Now I have made peace with my parents and they appreciate my calming influence, but it took several years and several tears. On a personal level, if this is true, I am glad to have defeated the Archons in this regard. @ Mitchell and @ Neekian - I can totally relate to both of your experiences. Like you Neekian, I was very afraid of my father as a young child and would become physically ill whenever I was in his presence. He would even terrorize us (my siblings and I) at night, so we would lie shivering under our covers many a night too scared to move or breathe. It was truly a horrific childhood and I am SO GLAD it's over. I am completely convinced that my "father" was either an Archon or the host of a very powerful high level Archon. He was the most relentless abusive male you could ever imagine, on all levels. A few years ago, a psychic astrologer told me that in 30 years of reading natal charts, I was born under the worst most vicious paternal energy she had ever seen astrologically! As if that wasn't enough, the Archons also made sure I was born into an Illuminati controlled religious cult in an attempt to totally control my mind -- as extra "insurance" that I would never see "The Light." Well it took me almost 40 years, but I eventually broke through all their Dark Barriers! It looks like many here have done the same, including you Mitchell as you were able to even make peace with your parents despite all the heartache they caused you. Bravo! It just goes to show that no matter how oppressive our childhoods were, there is NOTHING and NO ONE that can permanently hijack our free will or prevent us from remembering who we truly are! I am grateful to Cobra for shedding light on this subject and allowing us to breathe a collective sigh of relief - knowing that our almost unbearable childhoods were NOT a payback of some "karmic debt" but a gross manipulation on the part of the Archons in an attempt to subvert our missions of Light and keep the planet in perpetual darkness. Well it may have delayed the process, but Victorious we shall be! I salute you all and high fives all around for everyone who has broken free from the Archonic Network and is proudly carrying their torches as Warriors of the Light!!! But still my love to my family will not end, because i cant hate them. At the end we are going the same way. No need to kill or hate anyone. The thing that excited me the most about this interview is that Cobra said the Stardust technology will be released shortly after the Event in order to cure most diseases on this planet. I was more excited to hear about that than all the past constant talk of "prosperity funds". If you don't have your health, what good is money?? But I wonder how the world population will be told about this technology? Are people going to be too scared to be injected with nano robots of an alien technology? Well, if they are, nevermind, I will be one of the first ones in line!! Yes, I agree that the thing that gets me excited is the healing technologies. We don't get to hear about those. I've been following the QEG and other energy devices but would love to hear about the healing ones. So many people suffering and I pray they get helped very soon. Like you Mitchell, I say if you don't have your health everything else doesn't matter. Let your hope stay alive, beloved Mitchell. Before the Stardust can be introduced to the human race, these delays will claim many deaths due to terminal illnessess like cancer, stroke, etc. So, while waiting, people will see their loved one die one by one with pain and agonies and they cannot do anything to relieve or reduce the pain. I hope they are the one on the ground and we are on the sky seeing them going through all these - and feel for themselves how does this compute in their 5D minds. Hahaha! Hey Cobra, what's the secret for the great hair? The ULTIMATE secret of great hair is ---- stop reading these messages and all your worries will go away and the hair will start glowing. Hahaha! I said it before, the Sanskrit word 'karma' means 'activity' and its fruit, not "punishment" or "fate". In the Vedas the killing of an animal is endorsed only as an occasional sacrifice. The soul of the critter would obtain a heavenly body and ascend to the heavenly plane due to the power of mantras chanted. The whole process was peaceful and painless to the critter. Only if you can do this, the killing of an animal can be allowed, but only if the critter agrees (his/her free will should be respected). Unfortunately in kali yuga this process does not work due to the lack of qualified people and is misused as an excuse to commit violence and can therefore not be allowed. If "god" is not all powerful, he/she/it is not God (capital G). In the article "Return of the Light" posted by Cobra some time ago, we can read how the one called "Prime Creator" has made mistakes and was ignorant of the consequences of allowing the dark ones to go ahead. He/she/it was very sorry for his/hers/its mistake. In the same article we can read that not everyone has a twin soul. There are singular souls and multiple souls. 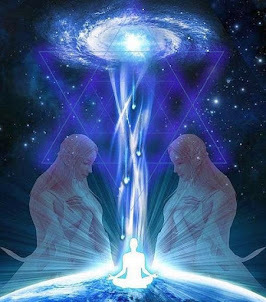 Thank you Cobra for the interview and shedding more light on our true nature as Starseeds. I found it very informative. The one thing that I missed hearing about in the interview was the status on the removal of the strangelets. I can only assume that this info. needs is to be kept classified. I am looking forward to your next update on the progress being made since the solstice. Blessings and much love to you and all of our Galactic brothers and sisters as you continue your very important work in liberating humanity. The reptilians claim the moon as their own property.Is the moon their weapon they use to claim ownership of Earth? Is the moon a spacecraft? Is the moon the primary frequency fence or clamp slowing human spiritual advancement? Yes, yes and yes!Remote viewers have reported the moon as an artificial satellite with a cratered rocky covering.One of the mysteries of human biology is the short fertility cycle. Humans have an ovulation cycle directly related to the period of the moon. Most larger mammals have an ovulation cycle based on the solar year. Humans have the ovulation cycle of rodents. The moon is emitting a frequency keeping humanity "barefoot and pregnant". The Earth would be entirely different if women controlled their ability to give birth based on a solar year. Is the moon the source of the suppression of human freewill? Yes.The chemtrail program is extra-terrestrial and the reason for it is to maintain control over the Earth. The chemtrails are meant to suppress human freewill.It might be a good idea to lift the moon out of Earth orbit! 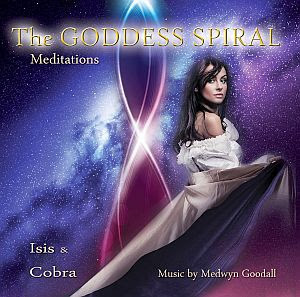 Thank you Cobra, Rob, Rique and all Light Forces everywhere for this latest interview, info and beautiful music track. We have so much to UNlearn, relearn and remember. Looking forward to the day when all beings will be liberated. Much Love and Gratitude to all. Cosmic embrace xo. Dearest Cobra, what is the current percentage of liberation of the Etheric and Astral planes? "Think for yourself, your teacher may be wrong." I hear many taking EVERYTHING Cobra says as absolute full proof truth. It may be to a certain degree. My experience being around more than one individual who has access to "Higher Divine Mind" is that God or Source grants a certain amount of knowledge through any one person according to what's needed for that circumstance. Two people with the same ability may get different angles of knowledge. One thing is the purity of knowledge. The other is expressing it in a pure way without interjection of one's personal bias as a human being with limitations. Really, please I urge you, and I have heard Cobra say the same thing, think for yourself, feel for yourself, see what resonates with you and go with that. Let the rest just be and forget about it for now. All becomes clear in time. Not everything ANY master may say or any gifted person with awareness, may necessarily be all-knowing knowledge. It may be right for that instance in time for someone to perceive what they do. sense of personal integrity in giving up yourself. Or if you do, that's okay too. Everything we learn from. Bravo! Bravo! Bravo! Cobra and Crew - this was a truly En-Lightening Interview in every sense of the word. Much more in-depth and metaphysical in nature, which in my view, are the most important questions to have answered. From my perspective, this is exactly the type of interview the planet needs at this time. Cobra was able to fully express himself (without interruption) and it just flowed beautifully. I think Rob and Cobra make a great team in this process and on the technical side, Rique and others worked very hard to ensure the final product was stellar. I got a great deal out of it. One of the most important points I feel Cobra made is that the transition and healing of our planet is going to be a GRADUAL process. I have been sensing this myself and I think if we take these words to heart, we can all help to ensure a much SMOOTHER transition after The Event. What I have observed is that so many, and particularly those who consider themselves Light Workers or advocates for change, are really pushing their agendas HARD at this time (whether this be Vegetarianism, Ascension, transition to a Light Body, Emotional Healing, etc.). They want change to happen literally overnight and seem to become very outspoken and even angry if others are not immediately making these transitions. In his own way, Cobra is trying to tell us that we really all need to back up a bit, calm down, and take a deep breath. As much as we long for these changes, it is not going to help ANYONE if we are pushy and demanding or judgmental. What is really needed at this time is a calm spirit and a patient attitude - with ALL people. I really feel I am at this place and have worked hard to get here. I understand and fully accept that everything CANNOT and WILL NOT change overnight and I am perfectly o.k. with that. I really hope others will realize this too and become less forceful and overbearing in their opinions. This is what keeps people polarized and at odds with each other, rather than simply focusing on the Larger End Goal - which is total healing for Humans and all Life Forms on this planet on all levels. Thank you for sharing your balanced, light filled messages. You are right, regarding of the type of activism we are doing, we should remain united, without aggression of any sort because each one of us has been born/raised in identical traumatic cultures and traditions. However, there are urgent things to be addressed, of which the vast majority of planet’s population is still unaware and for which we already have resources and means to address immediately, within our reach, without waiting for someone else to do it on our behalf. If we already have more than enough means to produce cruelty free, planetary healing, human healthy meat, dairy, eggs alternatives why wouldn’t we, without taking our gradual time? Here’s one more quote that was very telling for me and gives you a clue as to how much suffering and difficulty our dear brother Cobra has endured. Cobra - I salute you and ALL the painstaking work you have done in this and other lifetimes here on Earth and on other planets for their, and our, Liberation! I am amazed that you have come this far and been able to endure all that this often grueling work entails - especially here on Earth, in the darkest of all environments. Cobra was asked “Is this your first planetary liberation process that you’ve been involved in or have you taken part in others, other lives and other planets?" COBRA - "It’s not the first one but it’s definitely the last one." Becca you are so right on! I also have a hard time with having the dense behavior and speech of the unawakened masses inflicted on me and everyone in their vicinity (especially on public transit). I miss driving not only for the escape and freedom it gave me, to be able to go places (healing nature treks) on a whim, but for the extra layer of protection it afforded me. I once lived in the lovely paradise of Marin County, CA but now I'm in an intense Northeast city (Boston) though in many ways it has matured me and made me stronger. When I first moved back here (born and raised in MA) after decades away, I was so overwhelmed by the dense energy that I would end up in tears on the T before I could get all the way home from work. I have since re-developed that classic N.E. thick skin, but I really want to be softer and more open, not harder. Yet I find soft and open is not always safe or welcome here. Thus, I too, like to spend copious amounts of time alone. My favorite Cobra passages are about healing, because I expect I will transition from being a massage therapist and bodyworker, returning back to doing some sort of energy work and healing, (once I am healed) which is what initially led to my interest in doing massage. COBRA – Basically, the stardust technologies can be used to remove the source of chronic pain. It can be used to block the central nervous system which will be done at the event for the cabal members, but it can also be used to removed the source of chronic pain, it can repair organs, repair DNA cellular structure. If there is any type of structural damage to the physical body, it can be repaired in about 15 minutes with star-dust technology. 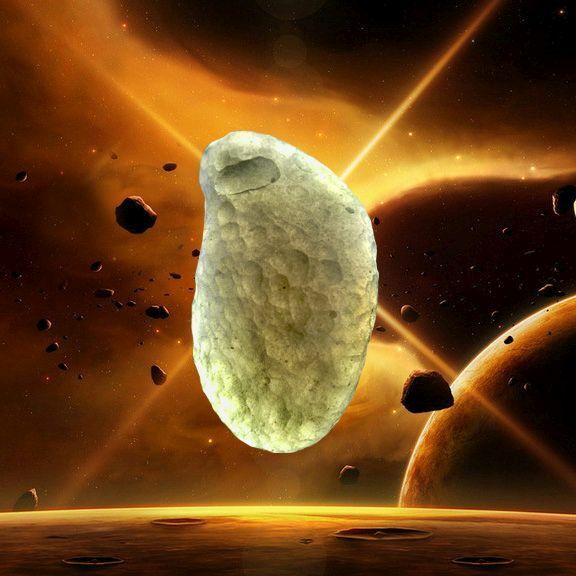 It’s a pleiadian technology that will be available very shortly after the event. All case of chronic illness will be healed very shortly after the event with that technology. COBRA – No . it will be a very conscious and aware process. Of course people will have to change their way of thinking and behaving. Illness can be re-created with belief systems and emotional states. . But whatever has happened to the physical body that will be fixed. There needs to be a certain psychological adjustment that takes place. Most people will be healed. COBRA – The healing process will begin at the event and will continue for quite some time. First thing will be a lot of healing because the control of the cabal will be gone. It will release much pressure from human beings and certain emotions will come out and be healed. Second healing of the mind because there will be a lot of Intel available, which is not available now, and people will have a much clearer picture what is going on. 3rd – there will be healing of the body with new wonderful medicine technologies being released. It’s a process and it can not happen overnight. For the average human being can take months or even years. There will be constant improvement. Not the situation like now: when we have almost no improvement and just constant control. COBRA - OK. Love is the core, it is the essence of life and when the cabal is removed, love will be the basis of human reality again because that is our birthright. Is there such a thing as infallibility? Well, not on the lower density levels. It is a trap for captives and captors alike. Now understand something fully... SOURCE and Source Of Sources (S.O.S) is the very DEFINITION of infallibility. How can this not be true? When ONE has complete control over Creation... over Time and Space, nothing is outside His reach. Nothing. Even our tears. As it always IS, Was, and always will Be. Ab initio usque ad finem. Have we not already had this discussion yoda? Or Yod-ah as the case may be. reMember? the hand or the Finger. Are you speaking EX_CATHEDRA?, are you the real INTERMEDIATOR? Hue-man DNA is a lingua franca. From watching Ron Van Dykes newest vid and a personal convo with him,it seems the 'supposed' Dragon family leader is claiming,there might be no big changes until 2017. I do hope you realize that if this is true you and the Dragon family;will have minimal to near nil support,by the time 2017 rolls around.And very rightfully so might I add.This carrot chasing has went on for far too long already.To hell with potentially waiting another 3 years. If this however is an inaccuracy,you would do well to correct it in short order. I think we'd all do well to focus on what's positive and know that we will find our liberation. If you're overly concerned about exactly how long it may take it's probably because you're not doing much on your own end to advance the RM....it would keep you busy! Nobody wants to wait another day but we can't change it so there's no use in complaining. I think the RM knows that time is of the essence, you must be vigilant that these member of the Dragon family might be engaged in disinformation tactics themselves since the cabal is listening to everything. Everything is going to be okay. Much love brother. This guy talking to Ron Van Dyke is obviously a fake and not a real member of the Dragon Family. He says some good, positive things, but mixed in with that is pure BS. The first, he says that people shouldn't get any prosperity funds because they will just "waste the money" (bull!). They second thing he says, and the most damning, is that the way to solve this problem is for everyone to "just stop supporting the Cabal". Impossible!!. The way to solve this problem is that the Cabal needs to be arrested!! If he doesn't know this and/or accept this solution, he is obviously a disinfo agent. I would agree if the Dragon family is talking about End of all religions and the full restructure of the Middle East by February 2017! I'm pretty sure people have a right to practice their religion (or lack of it),if they so desire.The Dragon family are barking up the wrong tree,if they are making that one of their priorities. I'm pretty sure making sure everyone on earth has food/water and medical attention,is far more important then prying into peoples personal lives. Restructure of the middle east by 2017? I thought they were supposed to be restructuring the entire world system,not just the middle east.They sure are taking their sweet time. The middle east is connected worldwide.. because of turmoil AMERICA will start to drill for oil on their on shores in 2015. Divide and conquer is the name of the GAME by all religious. There is no change before a big SHIFT in Consciousness, simply because there is no room for old belief system in the new world . Since old belief system dies hard..there will be a religious war that will end in 2017! Life is unfolding into a higher level of consciousness and humanity is being supported by the universe in unseen ways. Find the wonder and magic in nature and know that you are an integral part of all that is unfolding. Cobra has already said that the white dragons are not in charge of the event. 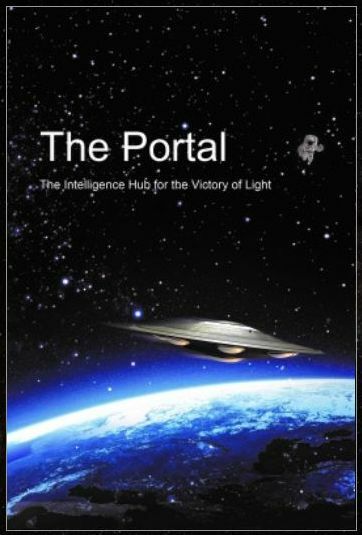 He has acknowledged several times that they as well as other factions working for the light also have their own agendas, and that it isn't their job to decide who gets the funds because they belong to all of humanity. Let's not interrogate Cobra for something someone else said. Cobra is very consistent, and has never given a date for the event. He has said that it will happen soon, and yes, 3 years could be considered soon as this cabal control has been going on for thousands of years. Getting indignant isn't helping anyone. Passing on from the Great Mental Plane to the Great Spiritual Plane, what shall we say? nay, some are even said to be “clothed in Pure Energy.” What may be said of such Beings? @Ananda, as a Zen Buddhist/Taoist I do not believe that beings of a higher dimension are any more "wise" or "supreme" than beings of a lower dimension. There is just a difference in dimension, in vibration, and in experience. The New Age philosophy seems to equate ascension (moving from one dimension to another) with enlightenment (the complete transcendence of all dimensions), I don't agree with this comparison. Humans and Earth may "ascend" to the fourth or the fifth dimension, but as long as there exists attachment to that dimension, there isn't wisdom. I also don't agree with what Cobra said in this interview that no human is even close to enlightenment (if I understood him correctly), but that those of higher dimensions are closer to enlightenment. To me, there is no difference. The main thing stopping humans from becoming enlightened is a toxic environment that lacks the support of wise friends. The Archons can have all kinds of etheric implants, scaler technologies, and diseases, but even those things won't stop humans from becoming enlightened. These physical barriers can be overcome. But what cannot be overcome is a toxic environment with a lack of wise friends. After the Event, and the removal of the negative environmental influences, the whole world can become a very spiritual place where great things can be accomplished. And it won't have anything to do with changing dimensions to a higher dimension. if you think there is no difference in the intellect, try to learn a spider how to use Windows 8. Agreed. I feel the word awakening should be replaced with rembering. 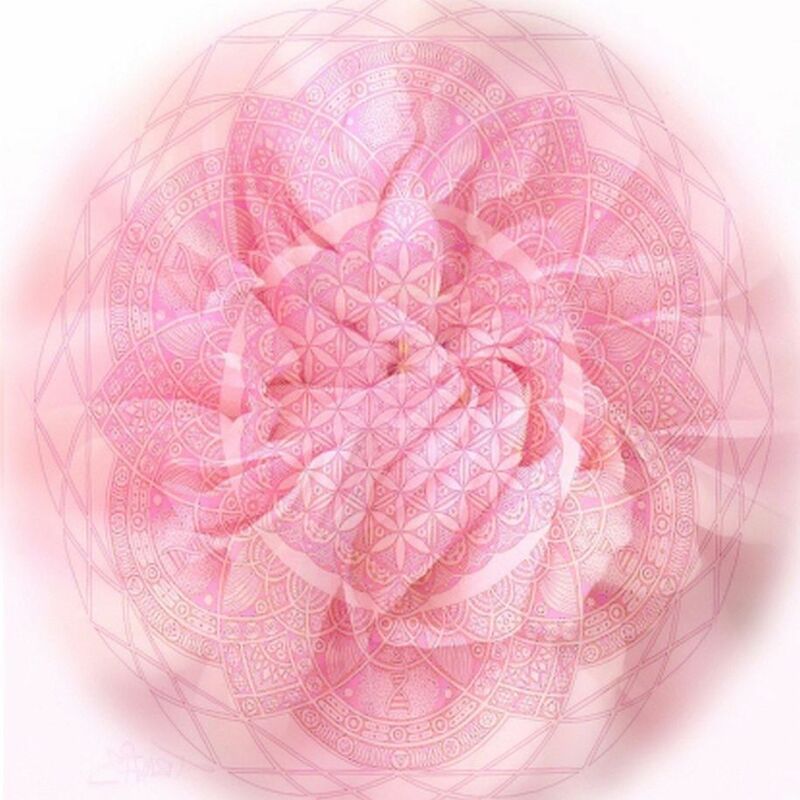 You are a fractal of your higher self, whom is a fractal of source. We are remembering. @Ananda, of course there are big differences in the different dimensions in "intellect" but "intellect" isn't WISDOM! Wisdom is knowing, directly, the Source of Everything. That type of knowledge isn't reserved for the higher dimensions. We all have that knowledge in our hearts and minds...even here in the 3rd dimension. When we want to get to that knowledge, we can. That is the same for angels, devas, archangels, creator angels, and prime creator. 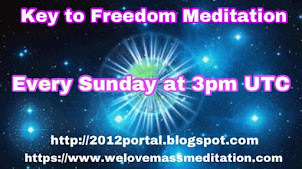 They all have a choice of when to become free from manifest creation. @Ananda, don't blame me! This isn't my system! @Peace444, thank you for your reply. I agree with everything you say. We are a "fractal" of the Source. It is our job to remember that. In that way, we can find contentment and peace. How I can contact my High Self? You may try with a simple greeting to your higher selves, or your twin flame. Then you gradually begin to share your daily life, whether sweet or sorrow, with them. Just talk to them like you talk to other people, for they are you and they definitely will listen. It may be weird for quite some time, but you will gradually get used to it, and feel very normal day by day. I would recommend that you start with your own twin flame first if you are still single. But either way, you may actually find out that your boyfriend/girlfriend or husband/wife turns out to be your twin flame. Who knows. Also, I would like to add that, as the relationship with your higher selves becomes solid, you will gradually know how to listen to "hunches". That is the way how they communicate with us. So basically, we do not actually hear their "voices". Maybe other people have actually heard their voices, but for me and other people I know, "hunch" is the way they communicate with us whenever we ask for guidance. All is well, my friend. Namaste. this is my *practical* question as well. I can not find the "#8" exercises, has anyone else? If so, can you please share? I couldny find them either so I hope cobra will send me a link i will post them onthe interview page. I did a search too and I only could find grammar exercises. What I understand from that it's a delicate aspect in that that maaaany people make a mistake and that is not knowing the difference between Statement - Affirmative or Negative and Interrogation - Positive or Negative. Between those 4 clear positions from which you might choose one resides Doubt! Please correct me if I'm wrong. @ Rob, that would be awesome if you would post it. @ Peace and Energy, thank you for your replies, and I will consider those as well because it all makes good sense. ...back in 2006, way before I was awake to this new light, or to the universe in general, I was experimenting with Chakras and meditation. During this particular meditation I seen Jupiter and what I thought at that time was the rings of Saturn around it. The image was so clear that it was like I was remote viewing. Well now I realize that it was an asteroid belt and not the rings of Saturn, but I wonder if that was my calling...a reminder of why I am here? Just rambling...but i don't take my visions for granted since they've taught me so many things. I guess my point is, woah! Synchronicity...or wow, so thats what that meant. or...simply this sh*t is real people. Hola maria y a tod@s. Hay algo de info por aquí y mucha más por aquí. Da-da doesn't mean to be rude, but how do we know what you're saying is actually happening? As opposed to a clandestine Cabal disinformation plot to give people hope that something positive is actually happening, stringing them along forever without anything ever changing? Can the new-and-improved powers-that-be offer some sort of obvious global demonstration that this stuff is indeed happening? Alas, after years and years of Cabal obfuscation and lies, truth and trust have become rare commodities. and your last sentence is exactly my sentiment as well. sadly/unfortunately, most people here seems to mistake objectivity (& being honest and/or realistic) for negativity and wishful thinking (or naive, delusional, and/or gullible) for positivity. Da-da, I really don't understand how anyone could be stringing you along…it's a choice, as in "free will", to have Hope, albeit based on the Wisdom and Knowledge-at-large shared on this site, that NO ONE ELSE has been able to publicize and disseminate to people who are receptive - while opening a platform for others who have been waiting for "this". The proof in the pudding is "our dear Niki", who can only count to 3 (LOL RaJah! that was genius! ), the now infamous fence-straddler (is that a better term than a "troll"? Think not, same difference..), who cannot step off this site even though he repeatedly and consciously refuses the Light that's been offered to him, and who honestly believes we are all delusional moon-bats here! Hahahaha! We (humans) need to take responsibility for our own discernment. "Proof" can be and is fabricated all the time. We (humans) have been openly receiving the most debilitating lies from the cabal for thousands of years. These lies are designed to take our power away, and they feel that way (dis-empowering) when we encounter them. This feeling has been our truth all along, but we have not been heeding it...we were too confused...too afraid. Now Cobra comes along and shares his information with all who would listen. 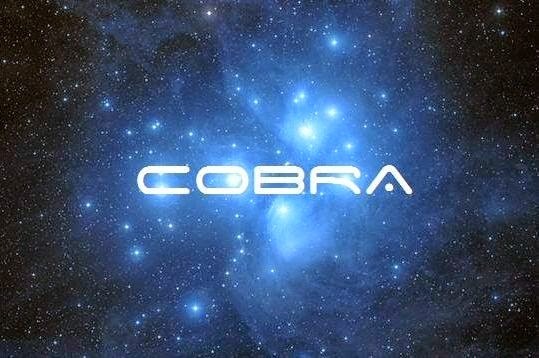 I can't speak for anyone else, but when I listen to his interviews, and I listen to all of them, I have only ever felt expansion and empowerment and I will admit that at rare times I have been a bit confused listening to Cobra. I can't prove to you or to myself that he is a pleadian incarnated as a human, or that there are millions of friendly ships placed around our planet, but I know for myself that his message is empowering, and that he has consistently displayed integrity in his interviews and articles. It is up to each of us to release our own barriers to moving forward and embodying the joy that is our natural state. This is our role in this time of great change....be as light as possible, with discernment. Swords of Palmyra. Why do you resist Pure Harmony? Is not the true enemy actually Zealotry? Yes. It is. How many Epochs of mind loops and time loops are needed to learn THIS? I'm very grateful for these updates - I check this blog every day, hoping for continuing confirmation that what I have felt inside for so very long, will come to pass. I have seen the triangular craft over my own neighborhood very recently. I have had dreams (memories?) for decades of having been traveling in a spacecraft with others - small, blonde beings with alligator eyes. Anyone I tell this to laughs at me - it gets me laughing, too - I begin to think I am crazy! LOL But then I come here & read Cobra's words & it begins to make sense - yet, I still have many questions. I would love to be in contact with the person from Syracuse who submitted the question about the chemtrails - I am also in Syracuse & see what you see. I thought I was the only one!! I can be reached at campfires101@yahoo.com Namaste. I thought it might be safe to go off topic since Cobra has mentioned sasquatch in an interview. There is a guy named Mike Patterson here in Ontario who is having some amazing interactions with a family of bigfoots at an habituation site (cottage). He is having interactive vocal conversation with a particular Sasquatch. The recordings are absolutely amazing! I knew about the Archons sending us to negative families...spent years undoing all of that myself, too, but think what amazing amounts of "guck" we have transformed for the collective in the process! However, I was very glad to hear that we were sent to places far from our soul groups because it's harder to awaken when you're near the same family/town/etc. THAT makes perfect sense. It's terribly lonely to be in a place that is culturally, linguistically and soul-wise quite different from oneself, but there HAD to be a reason. I'm looking forward to the Event partly for the healing (get my breast back! I've only been able to manifest bits and pieces so far), and mainly for finally not being ALONE ANYMORE. (Yes, forums like this help *alot*, knowing that kindred spirits DO exist, but most of one's life is NOT spent on-line.) When it's "all over but the healing", then my job as anchor will be done or easier and I'll be free to move... I don't think Cobra said this is the last because he's "had it"...but because we ARE the last!! Cobra: I'm so glad I had the courage to give you a quick kiss on the cheek at the end of the conference...I think of that, and send it again energetically, in thanks and love.... Hope you get it! "Possibly there is a war out there, literally between light an darkness, between up-converting shining agents and light-absorbing oil." The article, link below, sheds some light on GMOs, Morgellons, mind control, cel towers, (satellite) surveillance - and chemtrails. The field of medicine is controlled by the "Big Pharma" that pursues the UN Agenda21 into trans-humanism - and the doctors who blindly and without questioning "follow the rules" like a bunch of true sheeple, and only keep on applying band-aid instead of curing people. I get squeamish at a sight of a hypothermic needle, or when I think of the barbaric backasswards surgeries that in most cases only mutilate bodies and generate BIG $$$ to the cabal. Compared to that, the lovely thought of non-invasive healing with light and sound, resemble…a paradise. Cobra I so appreciate your tireless work and your valor to carry on. Lots of Love and Light! Wow! I hate the pharmaceutical industry with a passion. The way you wrote that was awsome! If humanity is the key to the event....and chemtrails creates a barrier and stops or slows our process than it should be taken more seriously by the resistance.... I hear that the case of chemtrails will be resolved after the Event.But until the Event happens we have to hold out. Its good to read in the article that the chemtrails are countered by some means.Although its troublesome to read that we still dont understand how exactly this works.Hope this will be explained later by detailed videos and pictures. Thanks Robert! After seeing so much unnecessary pain and injustice, my passion for organic life makes bringing down anything that threatens it, a virtual obsession. "The present invention relates to the employment of molecular crystals as anti-AIDS devices, a single intravenous injection will completely obliterate acquired immune deficiency syndrome (AIDS) in humans. Furthermore, said devices are capable of killing pathogens and purging the bloodstream of immune suppressing moieties (ISM) whether or not created by the AIDS virus (HIV); so as to restore the immune system." Or read about Sharry Edwards. She was hired by the US Government to develop a sound technology that can diagnose people. She states that this technology has also "reversed all cancers that have come to us". The sad fact is that we live in a very sick world, full of sick, apathetic people who have accepted suffering and illnesses as a natural part of life - it is not! If only enough people woke up, became educated and demanded access to cures outside of the great sham of pharmaceuticals and insurance companies, sigh…but I can keep the dream alive, the dream of how one day, we are liberated and free. How about Vitamin B17 and cancer? "Because the pharmaceutical multinationals are unable to patent or claim exclusive rights to the vitamin B17, as it is derived from a natural source (The Prunus Amygdalis Rosacea family), the multinational pharmaceuticals launched and have continued to launch attacks of unprecedented vicious propaganda against B17, despite the hard proof of its effectiveness in controlling all forms of cancer which is available in overwhelming abundance"
"The problem here is the processing of Laetrile cannot be patented. Its a natural product. you can't make millions or huge profits like cancer drugs generate. As Edward G Griffin puts it "So no substance from nature will ever be legally available for cancer unless its source can be monopolized. No matter how safe and effective it may be, and no matter how many people may have benefited, it will forever be regulated to the category of unproven therapies making them illegal to prescribe, to promote and to use". Here's for "shits and giggles", as they say. But remember there are good guys on both sides…because none of this awakening would have been possible without the Internet where knowledge and information can be shared instantly between peoples anywhere on the planet, at a speed of thought. "Defy the temptation to cross your arms and wait for some form of cosmic justice to save you — or at least remember that you will feel a temptation to do nothing, right when you should probably be doing something." I love this website and David's articles. He also has a FB page. ZH. T. has been realized. Let's build this bridge. Humans: please remember you are capable of all things there is no need to wait. Cobra: I now see you, thank you for your work, dedication and love for what you do. For those who believe in belief. Those beliefs will be believable by this time next year! It has been a long time coming, great job to every living cell we have made our own reality. You are going to see Big changes on the global scale taking place this December(mass awakening and UFO disclosure). The reason why did not happen yet..is the slow process of raising human consciousness! So glad that this transcript is so much easier to read than last months. That got stuck in this very tiny script when I was half way though. Never finished it. May try again. I will read this tomorrow after my Buddhist district meeting. Will comment again when done. By now, some visible dents in the real world would would be of such great moral impetus... Blessings to all souls aligned with the Divine. I had a unique dream last night.....I got separated from my friends & found myself lost in a glass building and was trying to find my way out of the building and to go home. Suddenly, there was a flying woman outside the building who I knew was there to help me out of the building.....I told her (much to my surprise) "I could fly too"....There was an evil one in front of me to stop me from going but I found myself reaching out with both hands and power of light came out of my fingers and dissolved the evil one....So then the woman and I both flew out of the building and then were pursued by a legion of army trucks with military people with guns....They were there to stop us as we flew by as our "power" wasn't acceptable. Well, once again I used the power that flowed out of my hands and waved them at all the trucks and then all the guns turned into band instruments and they all started playing them....so no bullets just good music. So we were able to fly home safely....My home in this dream was my childhood home where I had a visitation when I was real young by a female angel where she consoled me due to child abuse and told me about the importance of my life (which gave me hope and faith to go on). To tell you the truth I still feel like I'm flying today as it was free and fun! Thought I could just share this dream with all of you. @sunshinepop7773......wow what a wonderful dream.......thank you for sharing.... :) ! These videos are about the Financial Reset and much more. This all seems to tie in with what Cobra has been saying. I finally read the interview. I am very glad things are going at a steady pace. But I was a bit disturbed that the window of liberation was set from 1975 to 2025, if I read that correctly. Having to wait another 10+ years? I can't wait that long. I know it is very petty of me. But he keeps saying that we need to get our money out of stocks and the banking system. The problem is that the stocks and bank account are in the Family Trust set up by my mother. She refuses to do anything about it. Every time there has been a crash in the last 20 years, I have told her about it long before it happened. Yet with evidence of my being right, she still refuses to do anything. Cobra has said that people like my family will get some sort of restitution for what will be lost when the Event happens. I am just hoping that the bit the family has won't be lost altogether. She lives off the dividends as her retirement. Its not a huge amount, though to me it is enormous, more than I have ever earned. I am to get the dividends when she dies. That will be my living expenses and retirement. So I am very worried at what will happen. Though I still very much want the liberation to take place as soon as possible. 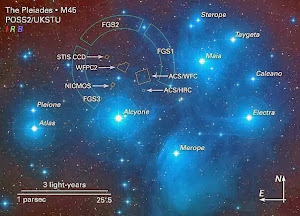 And finally be able to meet on a fully conscious level, the Pleiadians I have been dealing with this lifetime. I have listened to other interviews where Cobra mentioned the 1974 to 2025 time frame of our planetary awakening. Please be aware I am paraphrasing as it has been a few months since I hear him say this, but I assure you the jist of the matter is correct. 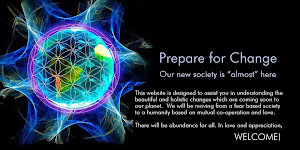 he said that by 2025 the awakening cycle has to be completed, meaning that the event would need to happen significantly before 2025 in order for us to complete the cycle properly. Listening closely and with discernment I would say that the event is expected to happen within a few years, and quite possibly within one year. Of course Cobra has not given any times that the event will happen, but he makes it clear that it will happen soon. It is my hope and understanding that once the event happens we will all be taken care of, so that our worries over finances wont be continued in the fabric of society after the event. 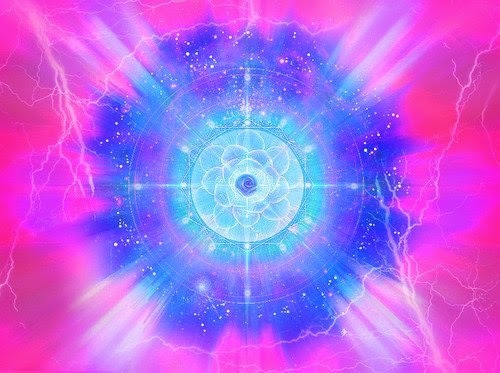 Of course we will need to heal and release our limiting paradigm, but it will be much easier when the grid is gone. So, I guess what I am saying is that worrying about our personal finances in relation to the event is missing the bigger picture. Be in appreciation that we even have a positive focus to hold in awareness. and than think about what you are setting in motion with this heavily promoted "Isis" adoration movement !